This record is awesome. I get stoked every time I listen to it. Seriously. I somehow failed to see this band even though I am friends with most of them. I feel like they usually played early and I couldn't make it for one reason or another. A poor excuse that I do not stand behind, I still regret not having seen them. Lisa told me they have some unreleased tracks. I told her that I would happily release them as a gig single if they would play a reunion show. The offer stands. Perhaps they will take me up someday. 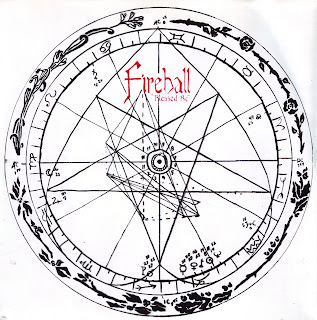 Ladies and gentlemen, for your listening pleasure, an EP by Fireball.